Southern In Law: Recent Things: Puzzling, Continuing Traditions and Planning for 2016! Recent Things: Puzzling, Continuing Traditions and Planning for 2016! Why helloooo there! We have had a crazy week. My computer died, it feels like there's been maybe four hours in the whole week and we have a jam packed weekend too - but despite all the craziness, we've managed to have lots of fun - and so I have lots to share with you! Recent Puzzling: Earlier this week we started (and finished) one of the puzzles we brought back from our trip to Norfolk Island! The puzzle we had was a Wasgij Puzzle which are quite a bit different from your average puzzle as the picture on the box isn't the picture you're putting together. Some of the Wasgij puzzles we've done in the past were perspective puzzles (where you're looking at the same scene in reverse/from a certain person's perspective), however, this one was looking into the future! Whilst at some points, as with all puzzles, we were ready to call it quits - we stuck it out to the end and got it finished! And, as with all puzzles, somehow our family wanted nothing to do with the puzzle until we had five pieces left to put in :P Typical! Recent Gifts: We're continuing our Christmas Tradition once again and this year I had a custom puzzle ornament made for Jesse by Etsy artist Cecilia from Totally Obsessed (who also made our Supernatural Ornament from last year!). Each year I get a new ornament for our tree which kind of sums up the year that was. The first was our First Christmas Ornament, followed by a custom made engagement ornament, Mickey and Minnie wedding ornament and last year's Supernatural ornament (as 2014 was the start of our Supernatural Obsession as we watched all ten seasons in just a few months). Recent Ideas: SIL Reader, Lisa, was inspired by our DIY Edible Gingerbread Place Cards Tutorial and created these super cute gingerbread stars! They really are so easy to make - especially as tricky-to-perfect royal icing is replaced with delicious melted white chocolate! Recent Obsession: Our Healthy Coconut Bread Recipe. It's quick, it's healthy, it's delicious - AND it's even vegan! We cannot stop making this recipe! Recent Excitement: Our cucumbers are growing!!! 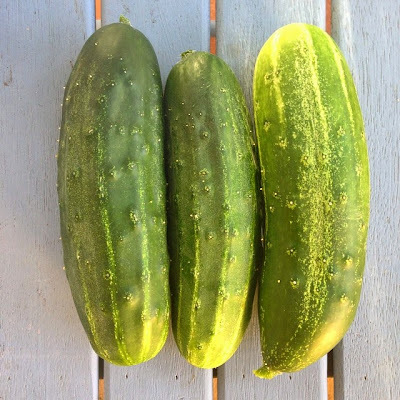 This is a recycled photo from last year (as I keep eating them before snapping a photo) but we have SO many delicious lebanese cucumbers in our garden this year. Last year we grew the above english cucumbers but this year we've got smooth and shiny lebanese cukes to devour! 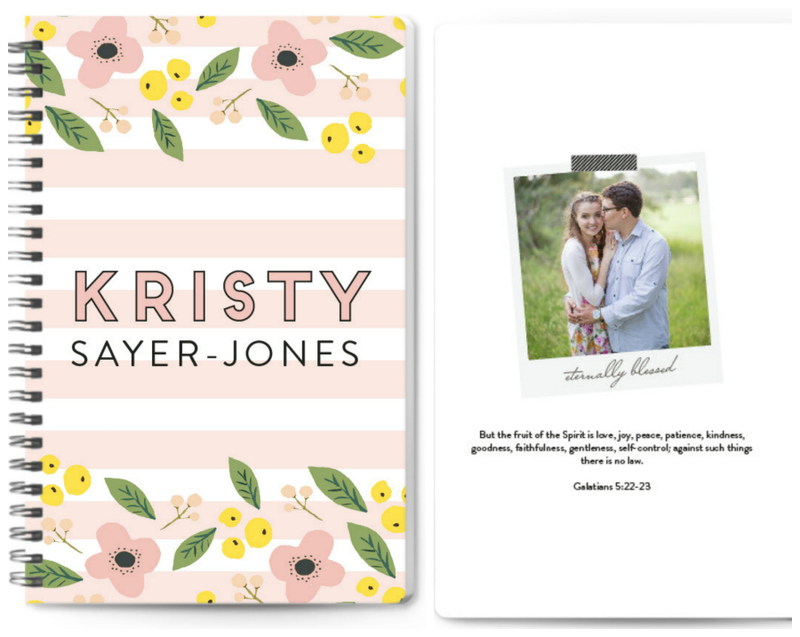 Recent Purchases: Some may be focused on creating beautiful custom designed Christmas cards, but this girl is focused on creating her planners for 2016! Minted have an incredible range of personalised planners, journals and diaries in a heap of gorgeous designs. I've ordered three (one for the blog, one for personal stuff and one for work) and I cannot wait for them to arrive! They also make a super Christmas present - and Minted have a buy now, personalise later offer which allows you to lock in sales prices but design your cards/products later on! Recently shared: My Bridal Inspiration Shoot with Lucie! If you haven't looked at all the photos, be sure to check them out! We also have some very exciting things planned for 2016 and Jesse and I are having our (belated) Anniversary Photoshoot with Lucie this Sunday! And what's your favourite holiday decoration/ornament?